HOME > お知らせ > New Two-Axis Servo Sprue Picker “EXZ II” Series! 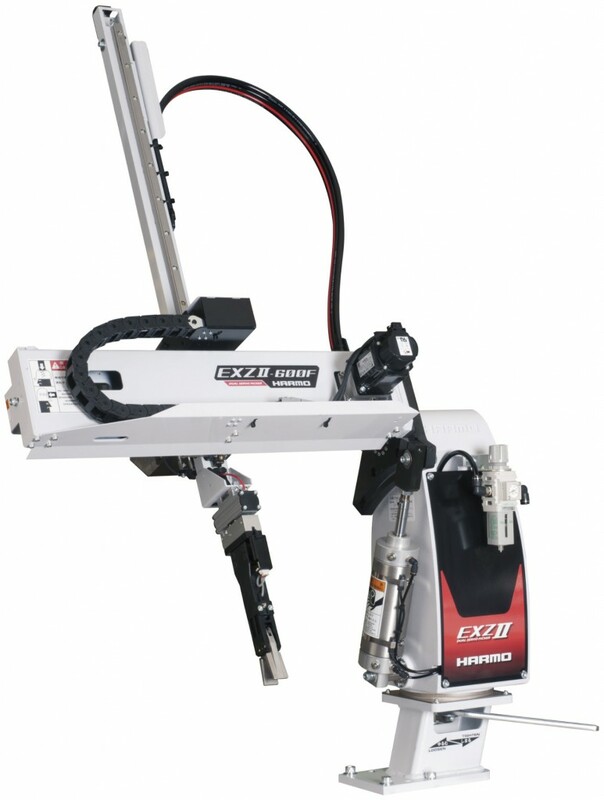 Introducing the two-axis servo sprue picker “EXZ II” series! The main body with improved design, is 45% more durable than the previous model EXZ-600. The servo motors equipped on Z and Y axis, improves the take-out time up to 35%. The new user-friendly HRS-700 controller provides smooth operations.